Toasts with mushrooms are very popular in Poland. You can easily buy them from street vendors. They are also super simple to prepare at home. Here a special, healthy version. 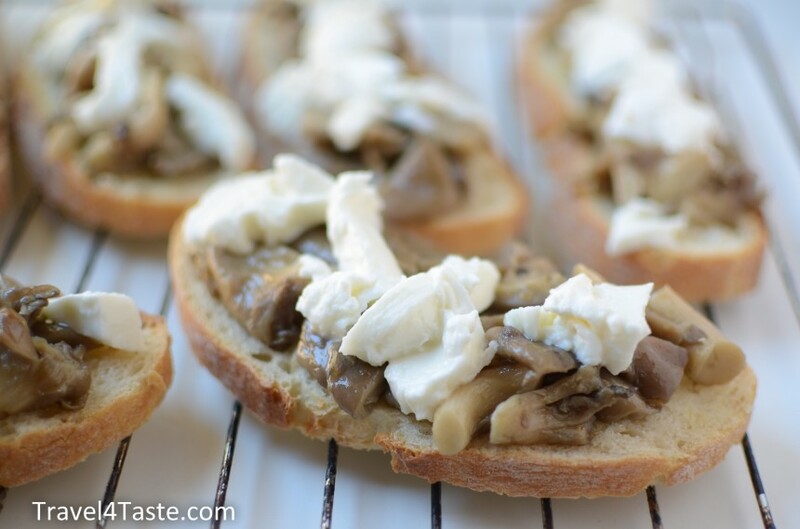 I used the Oyster Mushrooms that are known to lower the cholesterol level and protect against cancer. Melted mozzarella cheese and fresh thyme makes it an amazing snack or side dish for soups and salads. 1. Cut the mushrooms into small pieces. Fry them on a hot pan with some olive oil while stirring all the time. They should get softer and reduce their volume. In the end add pinch of salt and pepper. 2. 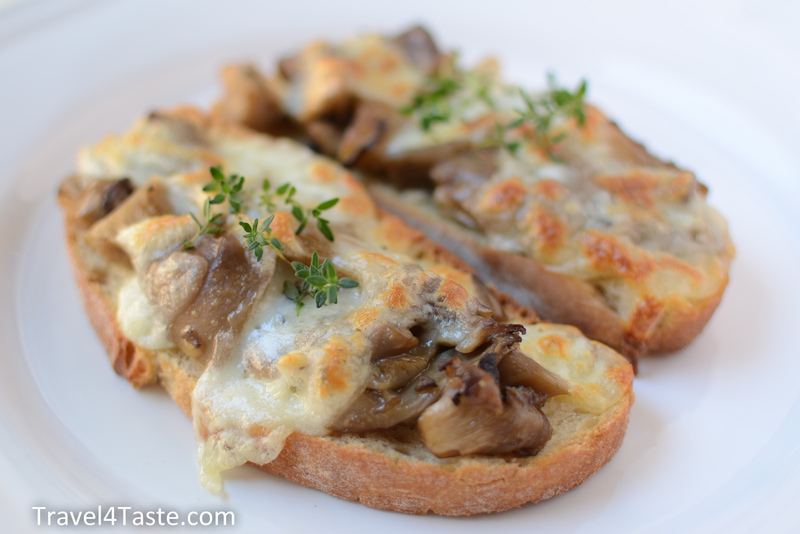 Put the champignons on the bread and cover with pieces of mozzarella cheese. 3. Toast in the oven at 200′C for about 10min. Cheese should melt and bread should get golden-brown. Serve with fresh thyme. This entry was posted in Bread, Cheese, Dinner, Healthy, Mashrooms, Poland, Snack. Bookmark the permalink.